A healthy lifestyle can be accomplished through a balanced diet, exercise and the help of new digital fitness and heath devices. Here are some digital devices, designed to help you achieve your health and fitness goals. 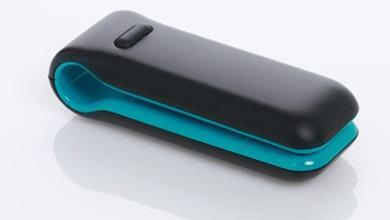 The Fitbit One is a fitness tracker that is incredibly easy to use. Push the little button and the device will show how many steps you've taken, calories you've burned, flights of stairs you've climbed, and distance you've traveled that day. You can clip the Fitbit on a pocket or belt loop; on an armband; or for the women, to a bra strap. The Fitbit comes with a USB connector that you plug into your computer, and it transmits the information from the Fitbit to your computer. The gadget uses an internal accelerometer to record steps, distance traveled, and estimated calories burned through exercise. Another product from Fitbit is the Fitbit Flex, a stylish rubber wristband with a concealed sensor. It’s waterproof; has a silent alarm; sends motivational text messages when you approach you goals; and it tracks your activity 24/7. The BodyMedia Fit is an advanced activity tracker that a person wears day and night. It measures skin temperature and heat fluctuation as well as motion to determine calories burned. It can make a distinction between a restrained and a dynamic workout. The BodyMedia tracks activity intensity, steps and calories burned, as well as the hours that you sleep in a single device. Four sensors embedded in the armband collect over 5,000 physiological readings per minute. Using the armband 24/7 provides a comprehensive long-term picture of all daily activity from formal exercise to activities at work, as well as household tasks. If you have a problem getting to sleep or staying asleep, SleepPhones are comfortable headphones you can wear while you sleep. They are situated inside a soft and comfy headband that you wear around your head or over your eyes like a sleep mask. Plug the SleepPhones into a MP3 or CD player and begin playing music; audio books with bedtime stories; hypnosis or mediation CDs; or white noise to replace the sounds of the environment around you. If your device has an alarm, you can have it wake you after a night’s sleep or an afternoon nap. 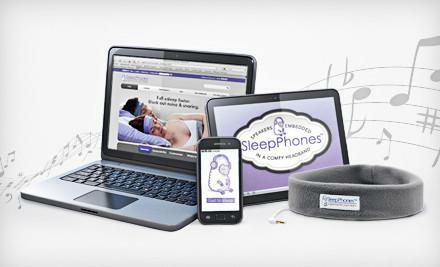 SleepPhones are lightweight, washable (headband), and can be removed from the fleece headband. They come with a CD for those who like to fall asleep to relaxing background sounds instead of music. The biggest advantage that I can see is using the SleepPhones if your spouse snores. You no longer have to drag your pillow to the sofa. Sportiiiis by 4III Inovations Inc provides the performance feedback you need without distracting from your activity. Color LEDs and voice prompts guide you to personal targets preset with the 4iiii app for heart rate, speed, cadence and power. Focus on your goals and not on monitoring devices, while your eyes stay on the road. Using Mac, PC or smartphone software, the LEDs on the Sportiiiis can be programmed to visually respond to data from ANT+ devices. For example, when paired with a heart rate strap, you can create a custom setup for how the LEDs will respond to your heart rate. This workout program is then downloaded to the Sportiiiis unit. For example, during a workout when your heart rate has reached your target zone, the center LED on the Sportiiiis will slowly blink green. If your heart rate drops below your target, the yellow LED to the left will begin to blink, indicating you have dropped out of your target zone. If your heart rate climbs above your target, the yellow LED to the right will begin to blink indicating you are over your target. The BKOOL bicycling system includes an online component with personalized training sessions. Automatic resistance changes run through a laptop with 100+ video routes and a smartphone app that records your outdoor routes. The training data then lets you ride these routes on your indoor trainer with a full online training diary and analysis tool and the ability to compete against other riders online (live or recorded) on your home trainer. The BKOOL is programmable with computer connectivity, which regulates how hard the pedaling will be, according to the virtual tour that appears on the computer screen, which shows you where you are going. The program can have several tours, such as virtual reality, or videos of real travels on courses like the Tour Du Rouge, Blue Ridge Bliss, Paris-Roubaix, etc. Depending on the stretch of road on which you are pedaling, the resistance is increased or reduced, simulating reality. You can compete around the world without leaving your home. The IDEAL LIFE Body-Manager™ is designed for both weight-conscious individuals and patients with congestive heart failure (CHF). 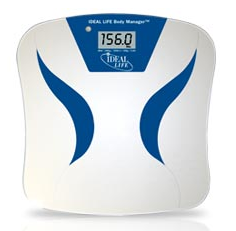 It is a body weight scale that measures weight, stores, and sends daily weight readings to a healthcare team via a fully automated process through any mode of communication, including land lines, cell phones, and the Internet. One way to assess the effectiveness of a patient's drug therapy is by monitoring weight gain, which is caused by salt and water retention. Timing is critical, as quick adjustments to drug therapy at the onset of weight gain can often prevent possible emergency hospitalization. With the IDEAL LIFE system, individuals can experience all the benefits of a personal health and wellness coach or a weight-loss support group without ever leaving the comfort of their own home. AliveCor's Heart Monitor records, displays, stores, and transfers single-channel electrocardiogram (ECG) rhythms to a cardiologist. 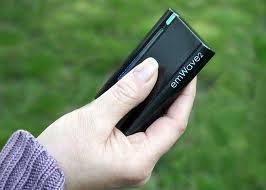 This device snaps onto your iPhone 4 or 4S and wirelessly communicates with the app on your phone. 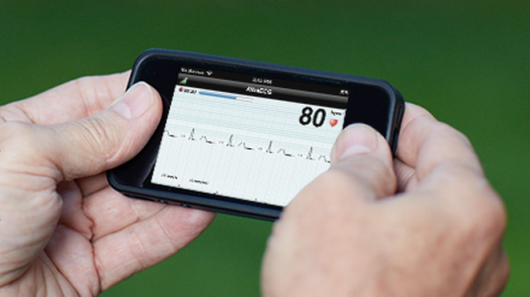 No pairing between your iPhone and the Heart Monitor is required. The app senses skin contact on the sensors, and when an acceptable connection is made, it counts down to initiate the ECG recording. The app can be set to take 30 second up to continuous rhythm readings. While the ECG records, it will also display heart rate. This device will cut down on time-consuming doctor office visits. emWave® technology is an original approach to improving wellness and facilitating personal growth based on learning to change your heart rhythm pattern to create rationality, which is a scientifically measurable state, distinguished by increased stability and harmony in our psychological and physiological processes. 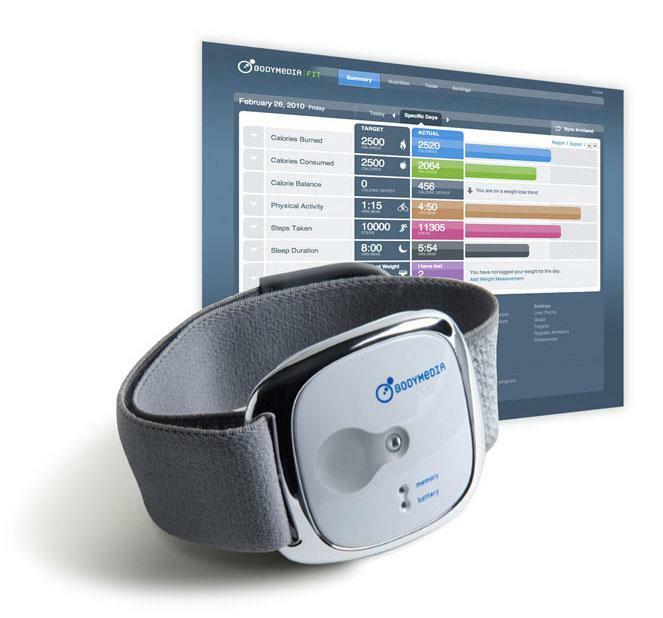 emWave collects pulse data through a sensor and translates the information from your heart rhythms into graphics on your computer or into easy to follow lights on the portable emWave2. By employing this monitor just a few minutes a day, this easy to use technology helps you transform feelings of anger, anxiety or frustration into more calm, easiness and lucidity. emWave transforms your response to stress and quickly rebalances your mind, body and emotions, increasing your ability to think clearer, be more intuitive, and make better decisions, especially under pressure, helping to decrease stress and burnout in chaotic and changing environments. Now, you can put your “stress balls” back in the drawer. Lapka is a tiny, beautiful personal environment monitor that connects with your phone to measure, collect and analyze the hidden qualities of your surroundings. The string of devices is a personal environment monitor. What starts off as a 3×4 grid of plastic and wood-trimmed cubes soon splits apart to reveal a distinct Geiger counter, EMF detector, temperature/humidity sensor modules, as well as a small tool to determine if the fruits and vegetables you’re eating are really organic. 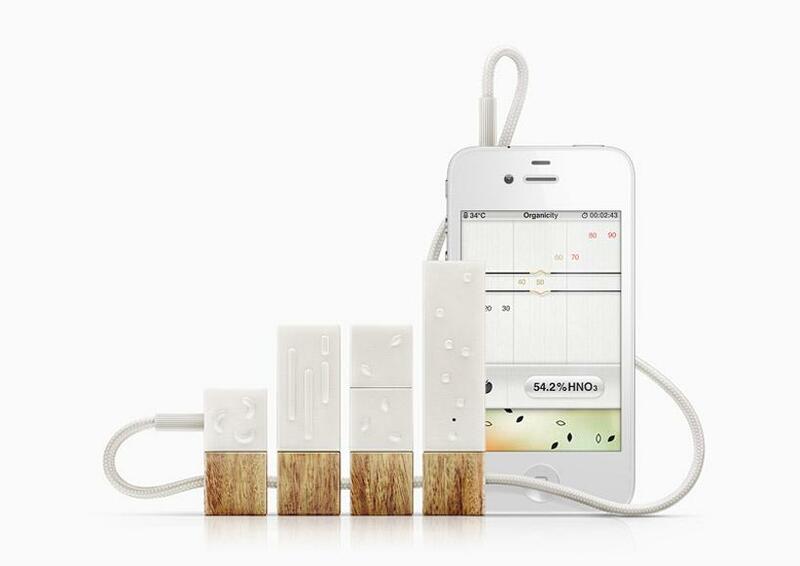 Lapka is an iPhone accessory and app combo which tests organic food as well as detecting environmental factors such as radiation, humidity, and electromagnetism. It uses a metal probe to check raw food and drinking water for excessive quantities of nitrates, a tell-tale sign of the use of synthetic fertilizers. All though you follow all of the health guidelines, you might still need assistance from a primary care doctor, especially on the weekend when a doctor is not available. This is when you find the process of setting an appointment to be a hassle, along with a wait due to the Affordable Care Act. You need a condition diagnosed, but don’t want to go to the E.R. HealthSpot has changed the process, making medical care much easier for minor illnesses. You simply find the nearest HealthSpot Station and get personal office care without doctor office hassles. These stations are planned for hospitals with very busy E.R. rooms, pharmacies and even grocery stores. You can visit a HealthSpot Station for a variety of primary care conditions, and HealthSpot gives you the tools you need to get better. A Healthspot Station has integrated medical equipment and board certified doctors that make your neighborhood HealthSpot Station the one-stop option for great care. Online follow-up care ensures that the end of your appointment is only the beginning of better health. If you need care, you can schedule an appointment online or simply drop by the nearest HealthSpot Station for a visit at any time. You can then track your medical history with secure electronic records through their website, and even get a prescription at any convenient HealthSpot Station location and review medication instructions online. 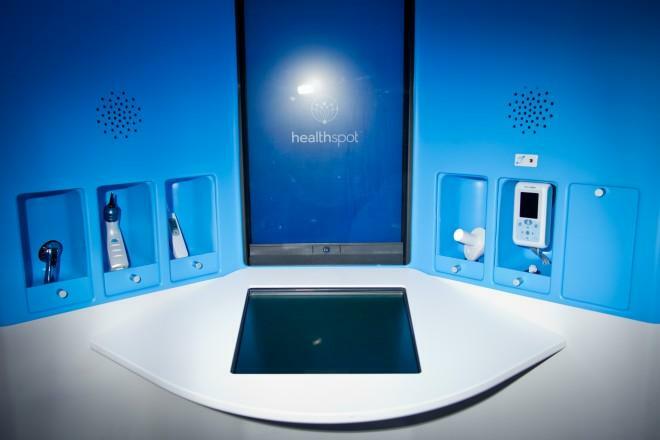 You will be able to “see” the doctor in an oval blue and white telemedicine kiosk equipped with high-definition video conferencing. With instructions from the doctor and a push of a button, the patient has access to a digital thermometer, dermascope, otoscope, blood pressure monitor, pulse oximeter and a Bluetooth-enabled stethoscope. The patient uses these interactive instruments to measure his/her vital signs, scan a skin rash or peer inside his/her own ear to help the doctor figure out what’s wrong. 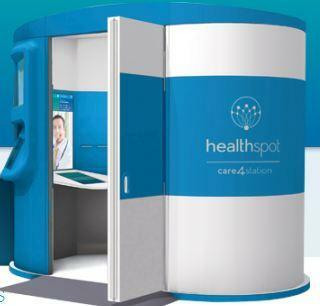 HealthSpot will start off with consultations for 15 primary care conditions, including body aches, skin rashes, urinary problems and sore throats. The patient’s data is automatically uploaded to HealthSpot’s servers, where they become part of an electronic medical record, which the patient can access anytime. After the end of the exam, a medical assistant changes the tips on the instruments, tidies the kiosk and ensures everything is sanitized for the next patient. Imagine what out lives will look like in the future, as more digital devices appear on the market to assist us in maintaining our bodies through fitness programs and health monitoring. The future of wellness is exciting.